Hold on to your hats — and the long, fabulous feathers in your hats. 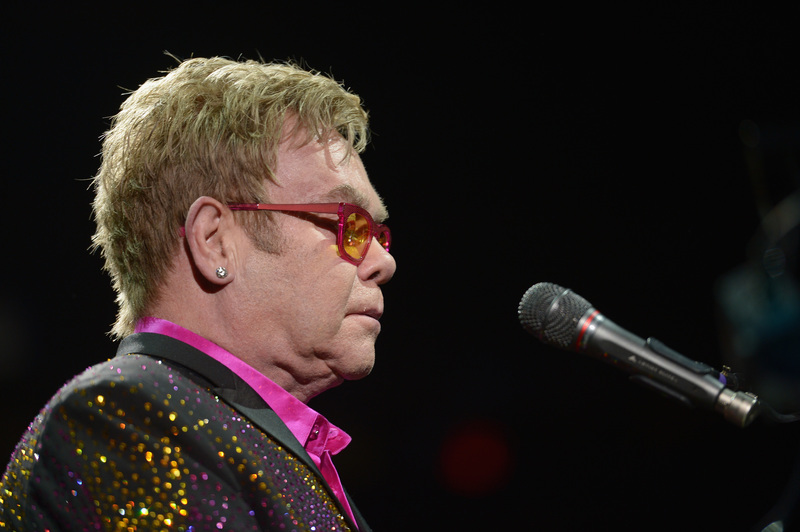 On Wednesday, it was announced that Elton John will produce an animated film version of Joseph and the Amazing Technicolor Dreamcoat, the global blockbuster Tony award-winning play by Andrew Lloyd Webber and Tim Rice. The film will be family-friendly, and will be produced by Elton's Rocket Pictures film company in conjunction with Webber's The Really Useful Group film and theater company. The story is based on the Bible's Book of Genesis, about Joseph's "coat of many colors." Joseph and the Amazing Technicolor Dreamcoat was the first Lloyd Webber and Rice musical to be performed on the stage. Steve Hamilton Shaw from Rocket Pictures, and David Furnish, John's partner, will produce the film. Webber, Rice and John will be executive producers. With Elton John at the production helm, you know that Joseph's coat may be just a bit more sparkly and eye-catching than usual — and the music will be fantastic. Joseph and the Amazing Technicolor Dreamcoat is one of the most popular musical experiences ever conceived, Shaw says. We are excited about the huge potential of a contemporary animated version, and we're thrilled to bring this to the big screen in partnership with Andrew Lloyd Webber and Tim Rice. Joseph and the Amazing Technicolor Dreamcoat was originally created for school performances, and found such success that it was made into the musical, that has barely any spoken parts. Joseph and the Amazing Technicolor Dreamcoat started in a school and was the first step on the path that led to my musicals with Tim Rice, says Webber. It is now being performed all over the world by a fourth generation of school kids, and a great movie can only help Joseph being part of the lives of many more. Originally created by Webber and Rice to be performed in schools, Joseph and the Amazing Technicolor Dreamcoat is known to be the most performed musical in theater history. On 1982, it premiered on Broadway, and now an estimated 26 million people have seen it. I have always thought Joseph was a strong contender for an animation production, and I'm delighted this is now going to happen, says Rice.